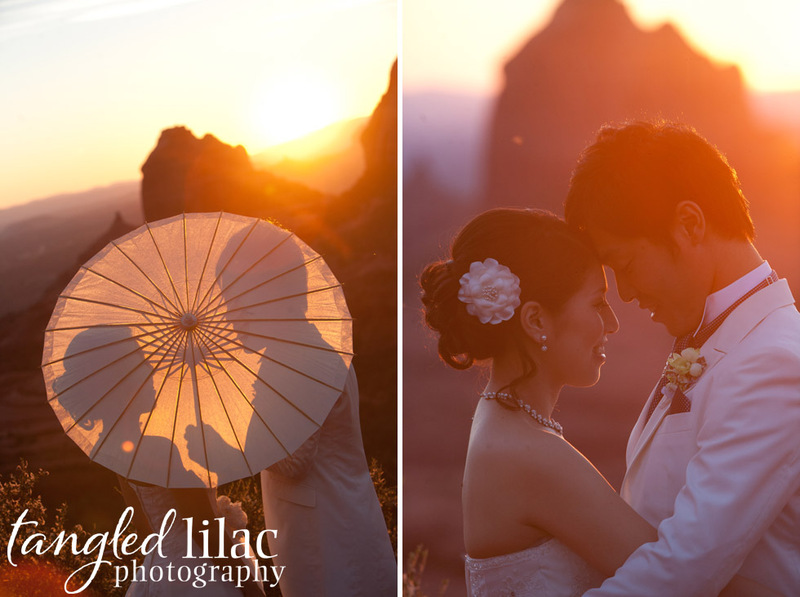 What is the first thing that comes to your mind when you think of romance and privacy in the same sentence? A vacation? 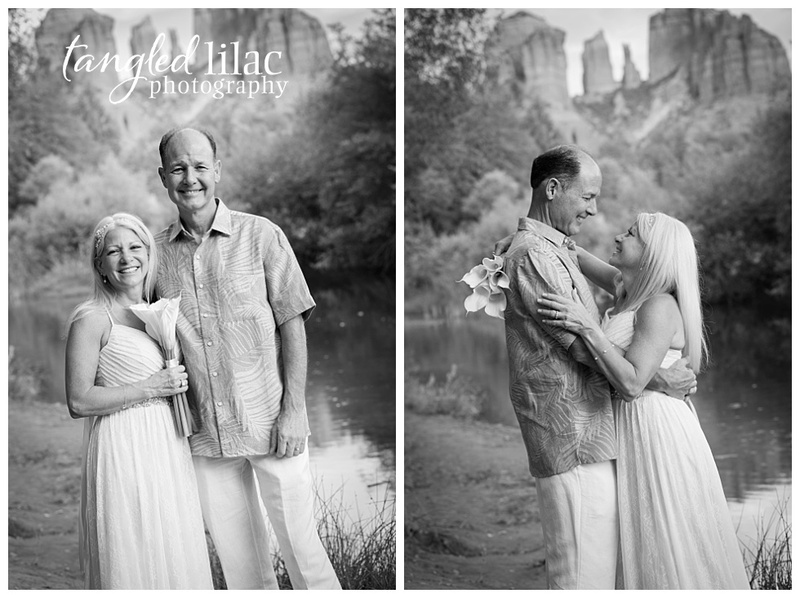 An elopement? 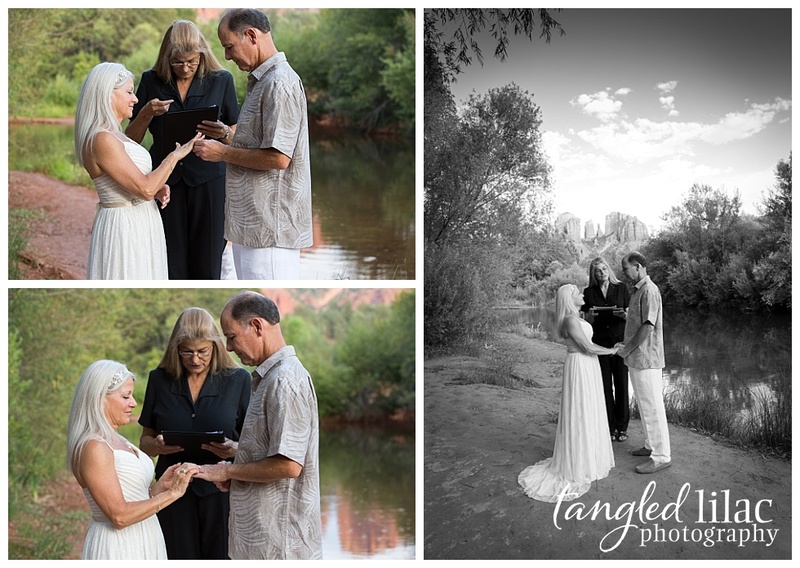 Well, you can have both and they happen amidst the majestic red rocks of Sedona. 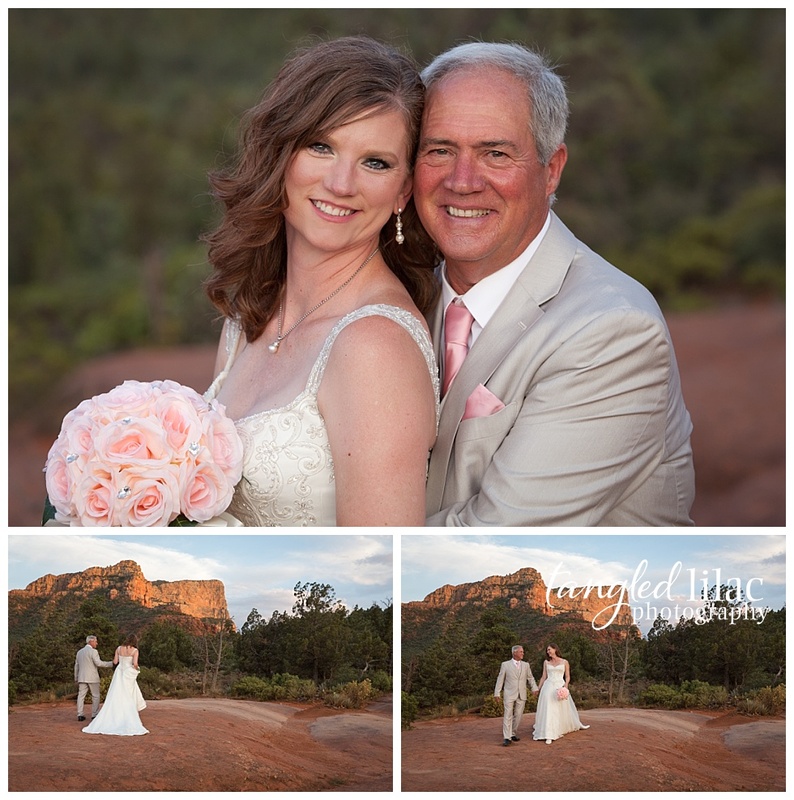 Sedona has become one of the most popular romantic elopement destinations in the world because of its stunning landscapes, breathtaking sunsets, and intimate wedding locations. 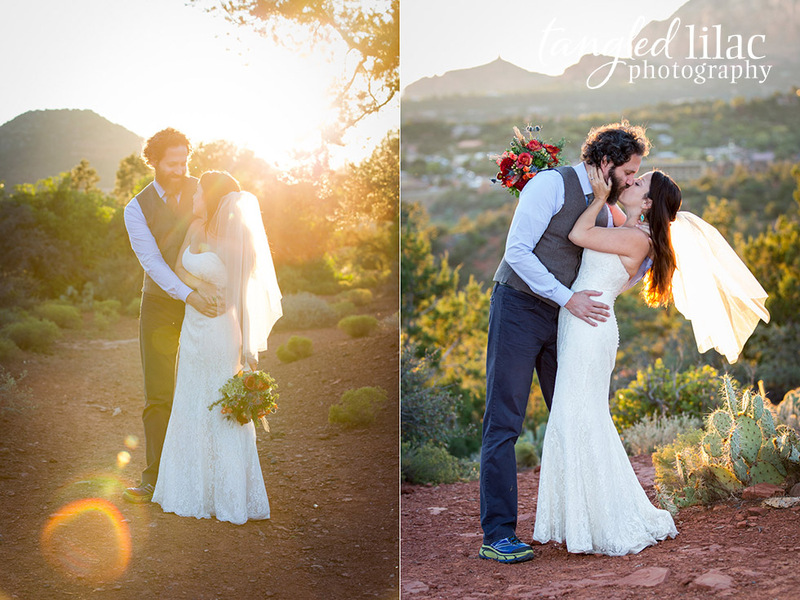 Here is a sneak peek into few of my favorite Sedona elopement spots. 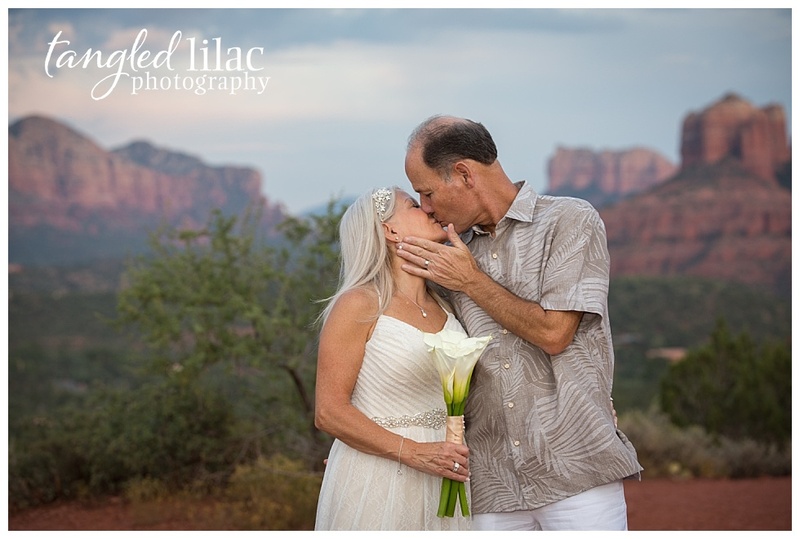 As you read through them, the one thing you’ll notice is Sedona is not lacking for stunning views and magical moments to help make your day special and unique to you. 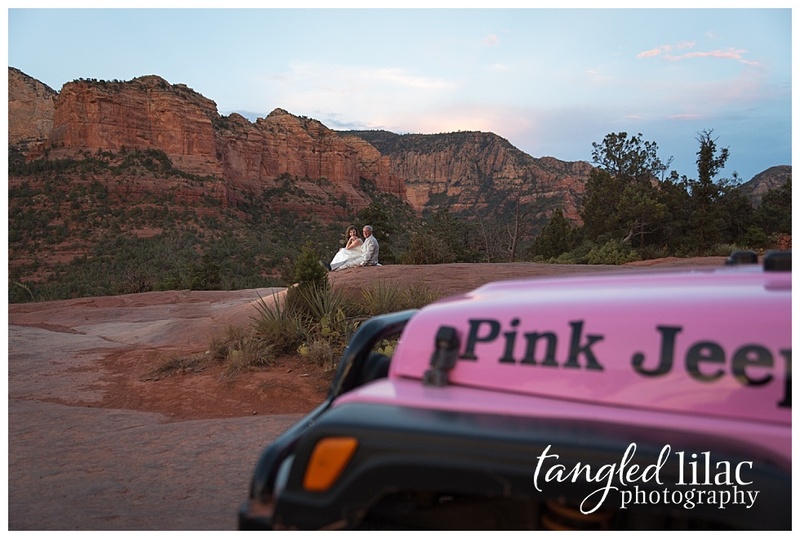 This is one of the most requested spots thanks to its beautiful views and magical red rocks on full display. It is easily accessible and easy to find with plenty of parking. 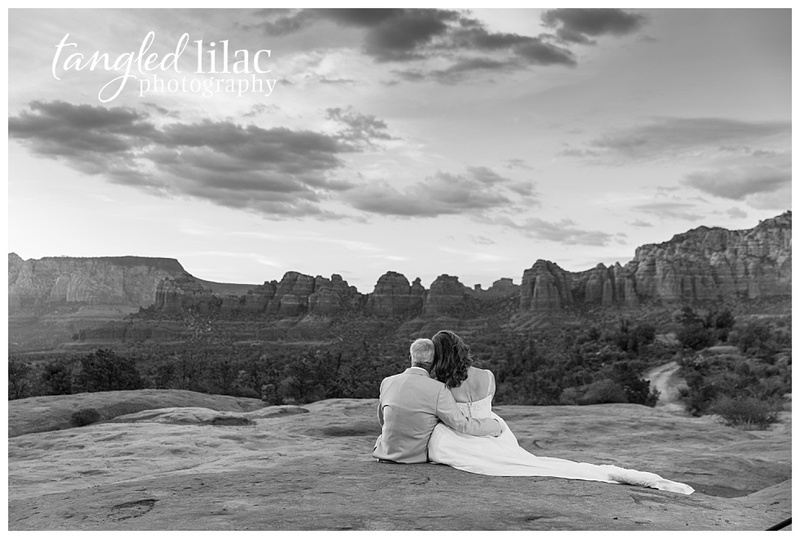 I mentioned the beautiful views, but they are worth mentioning again. And because of that beauty, it is a popular hiking trail which means it can be a bit crowded on the weekend. 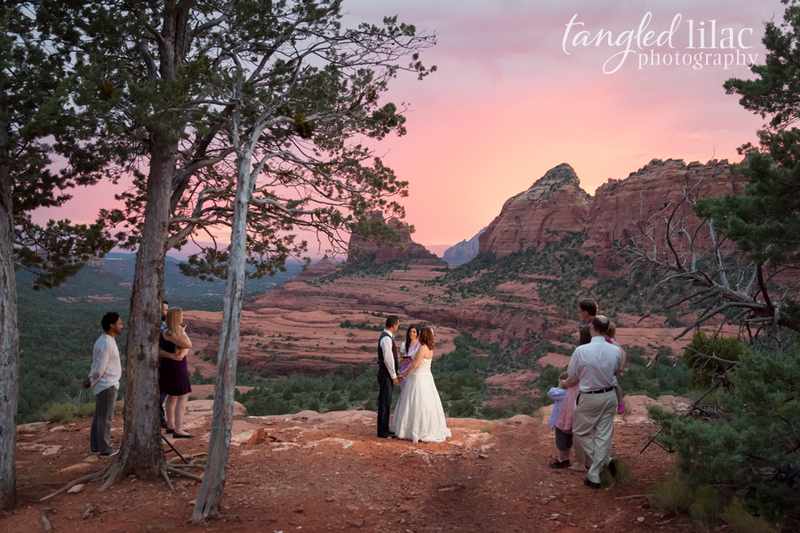 While most people like to hike the Bell Rock Trail, you can get away from some of the congestion and madness along the Courthouse Butte trail. 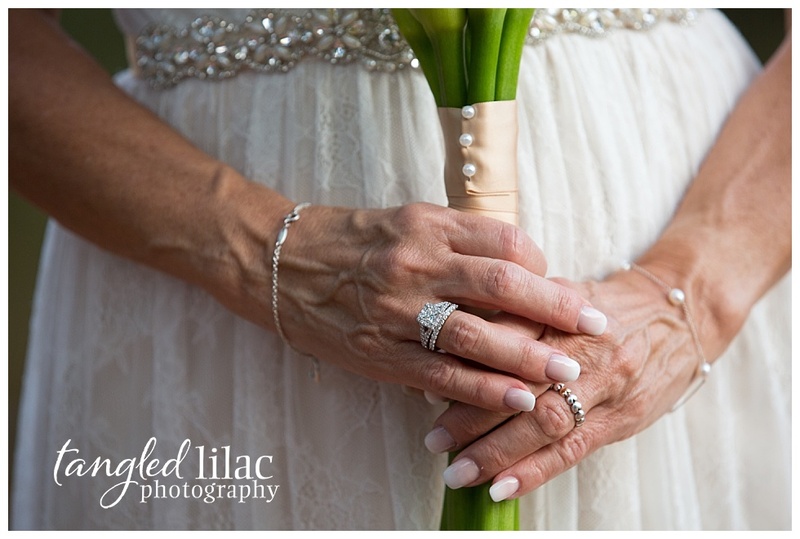 My recommendation is to choose a weekday for your ceremony if your timing is flexible to minimize surrounding activity. 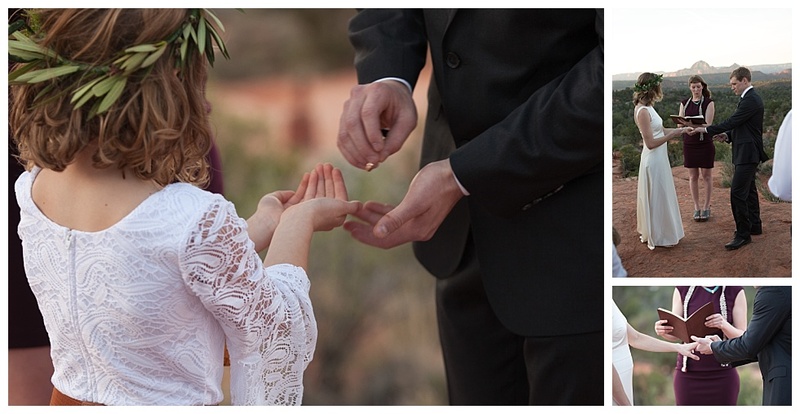 The Tlaquepaque chapel is the perfect place for a truly intimate wedding for couples wishing to honor their faith while eloping. 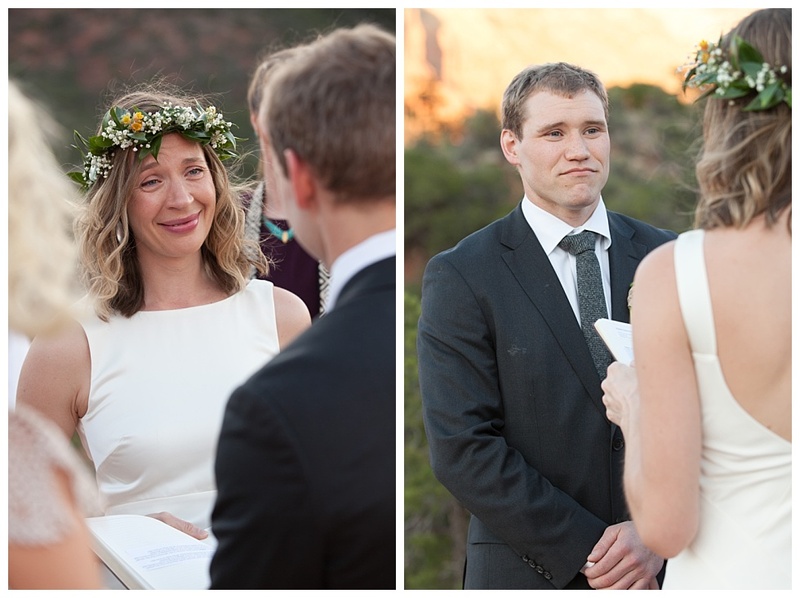 The rustic chapel is full of character which will can’t help but fill the room with love and emotion from the day. The chapel easily holds 30 people who will be comfortably seated in pews. 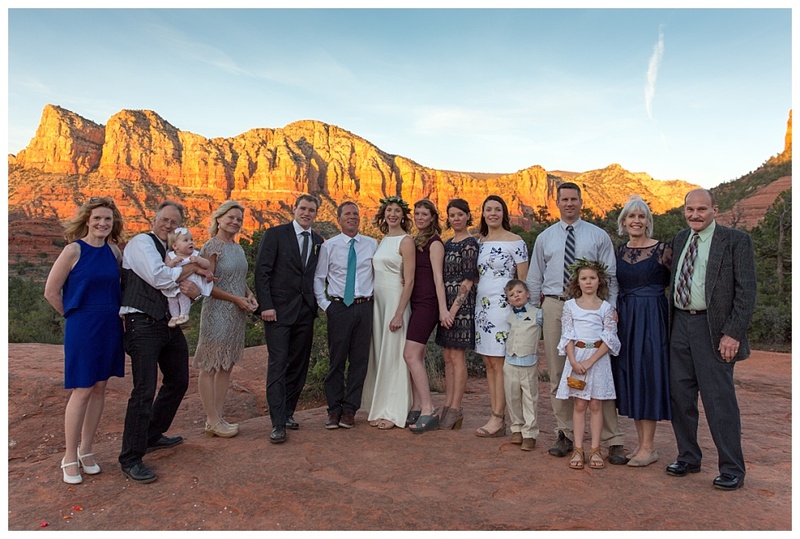 If you are traveling with a large group, additional chairs can be set up in the back for a maximum seating capacity of 45. 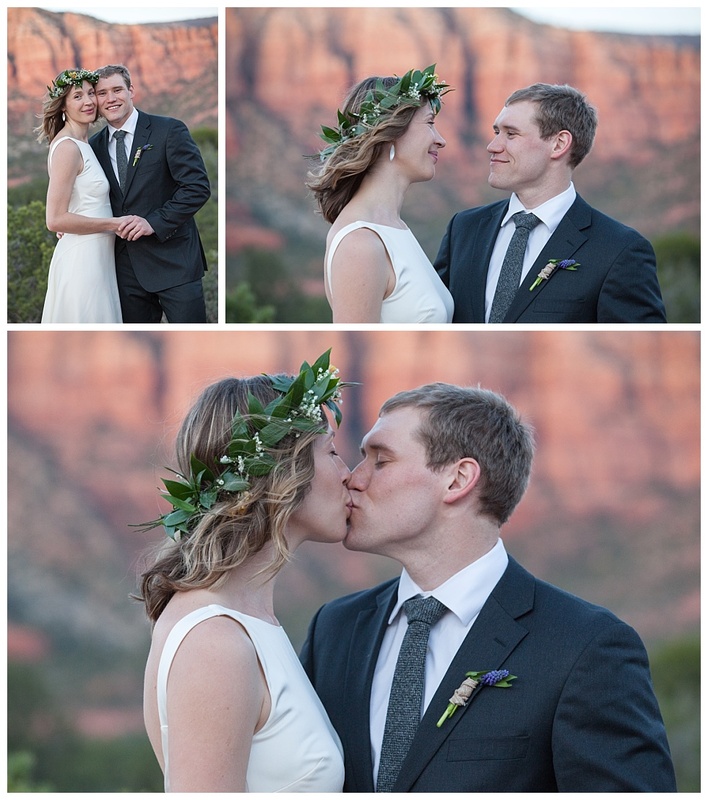 Nestled among the Red Rocks, this is a perfect compromise between eloping and a traditional wedding. 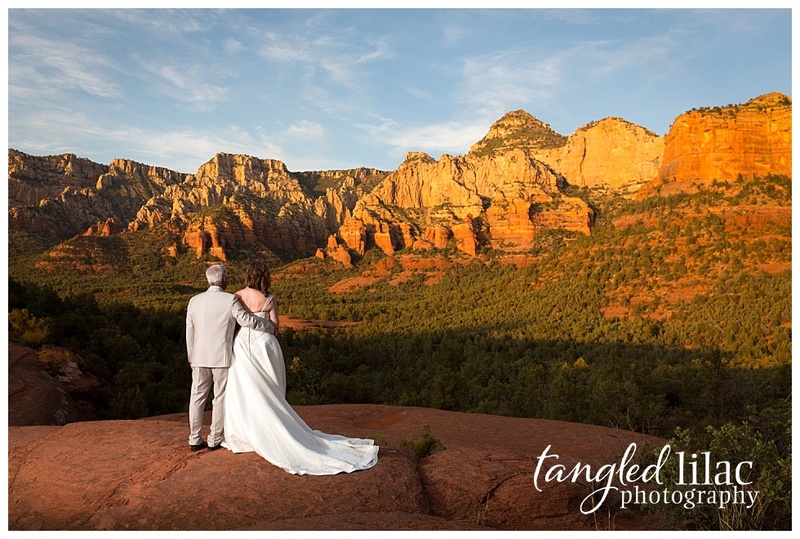 The aptly titled Enchantment Resort is well … enchanting. 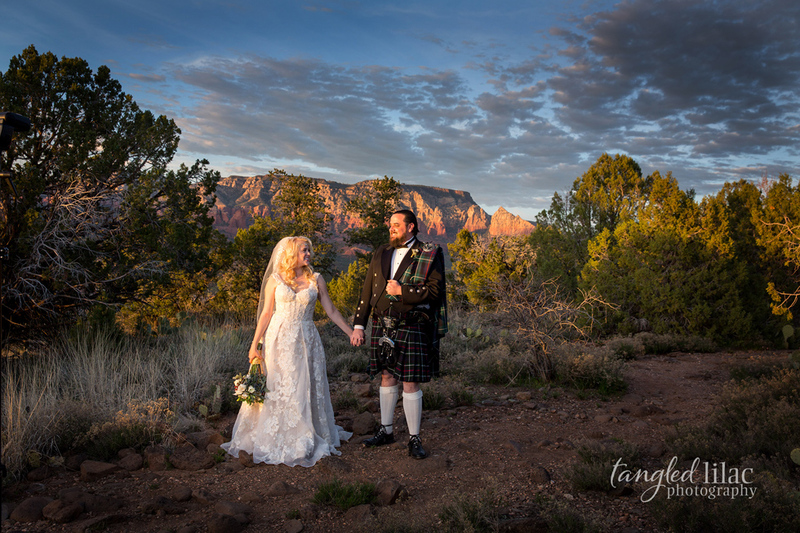 It’s perfect for the couple that wants the atmosphere of a traditional wedding with an intimate feel that an elopement brings. 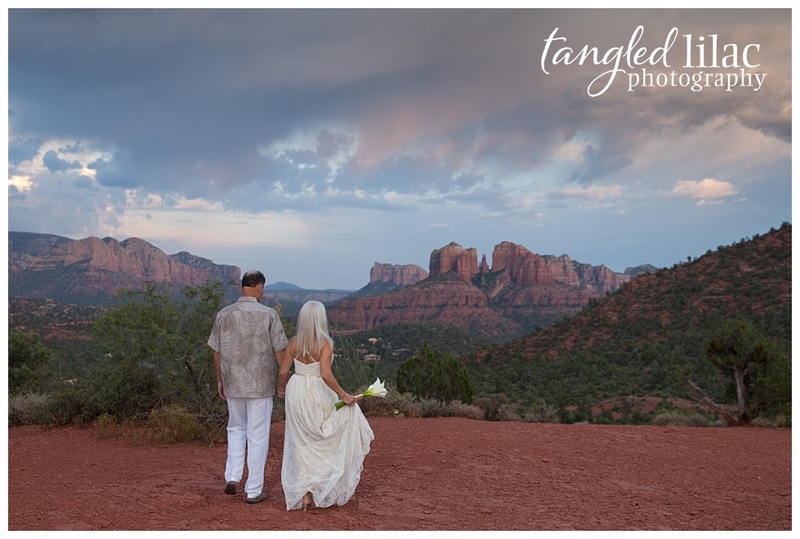 Enchantment Resort, nestled at the foot of the Red Rocks, delivers the landscapes that Sedona is known for and adds touches that elevate the experience to a certain elegance. 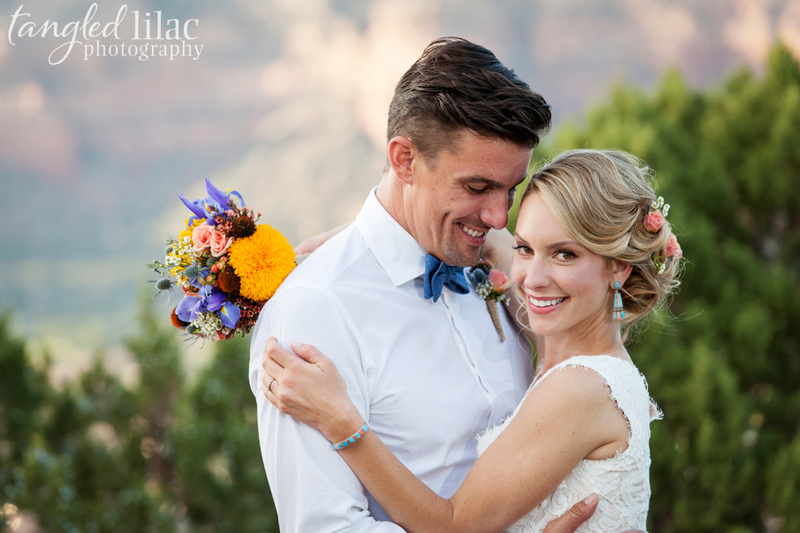 You’ll need to hire a wedding planner to coordinate the logistics of hosting your elopement ceremony and celebration at the property. 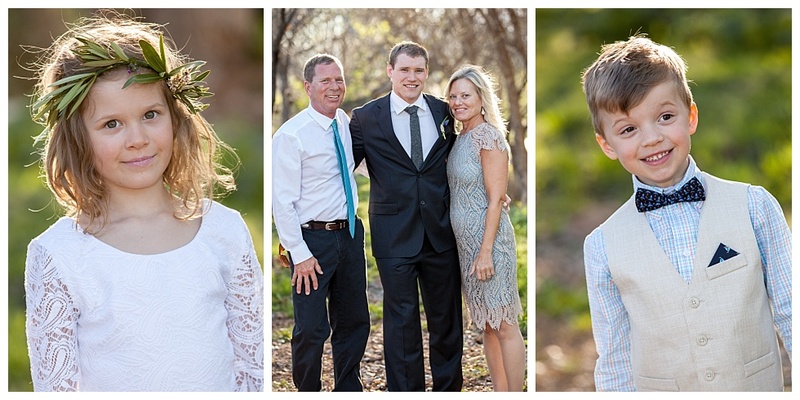 This is a perfect option for a couple that plans on having family and friends surround them on their big day. 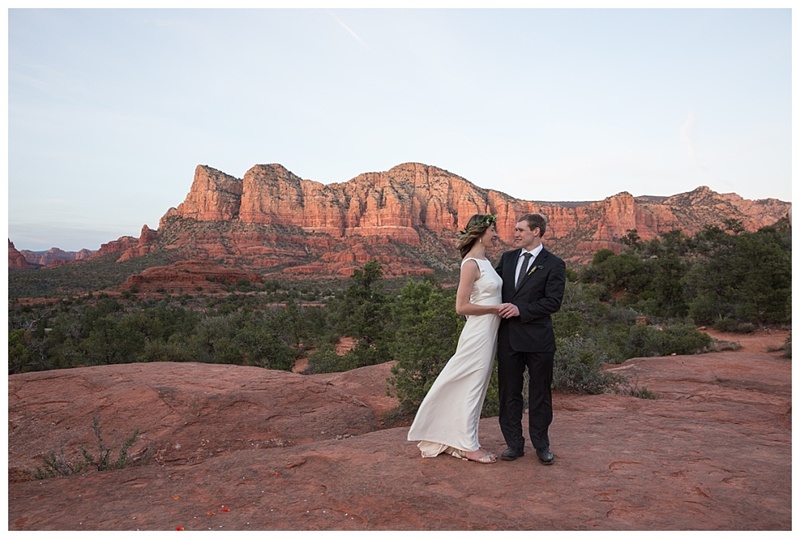 For someone who wants all the details take care of for them, L’Auberge de Sedona may be just the answer. 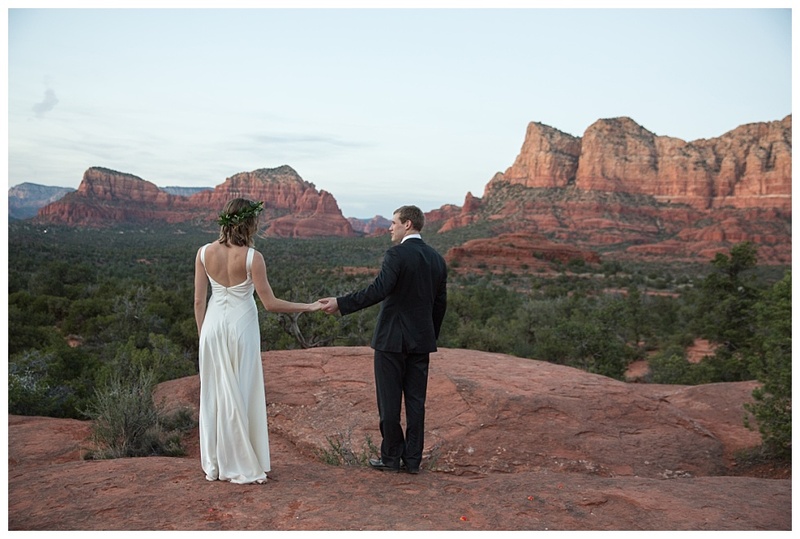 Celebrate in style and headache free with the L’Auberge de Sedona elopement package. 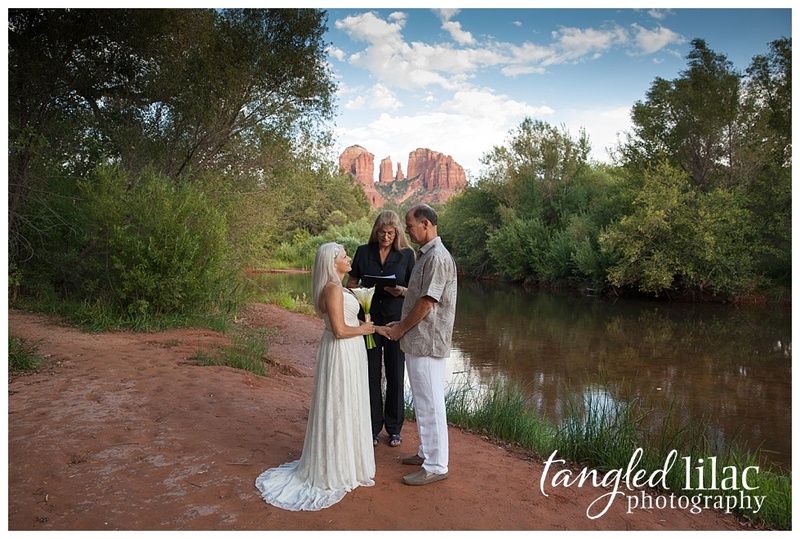 The Creekside Inn Bed and Breakfast has several romantic settings for your Sedona elopement. 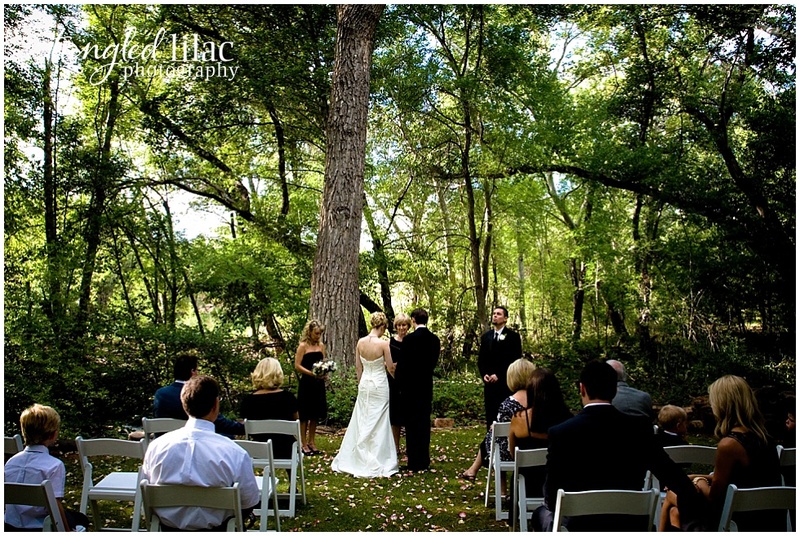 You can choose the Glade that includes giant Giant Sycamores and Cottonwoods that provide a canopy to the lawn that sits adjacent to Oak Creek. Or maybe you’d prefer the homier feel of the Porch that welcomes the sounds of the creek it overlooks. 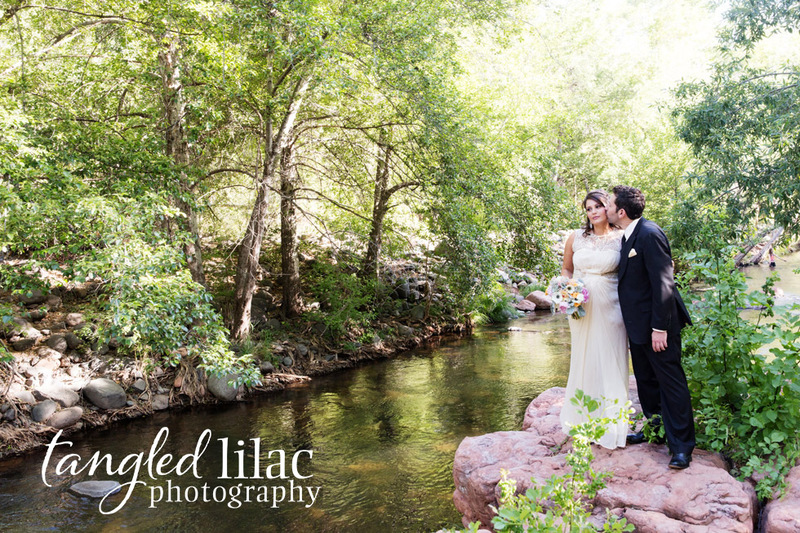 The Creekside Inn boasts six perfect locations for your ceremony accommodating groups of all sizes. 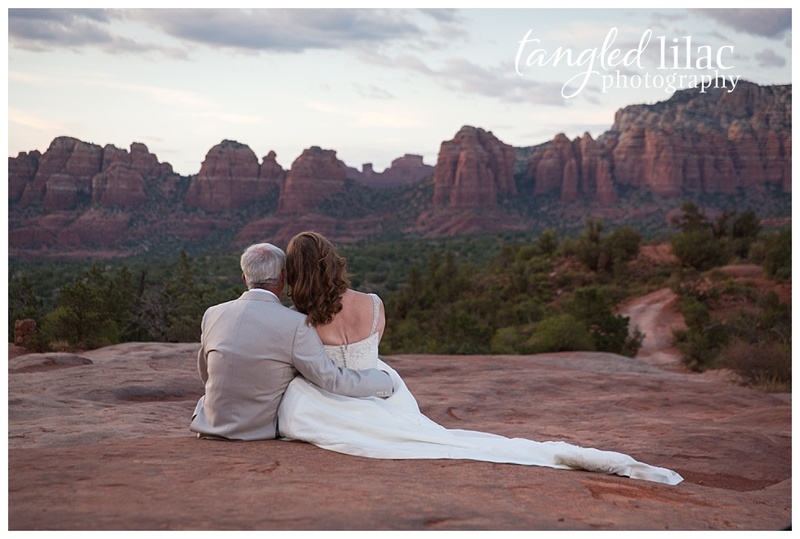 If you need a luxury elopement or intimate wedding surrounded by beautiful red rocks of Sedona, this spot is perfect for you. 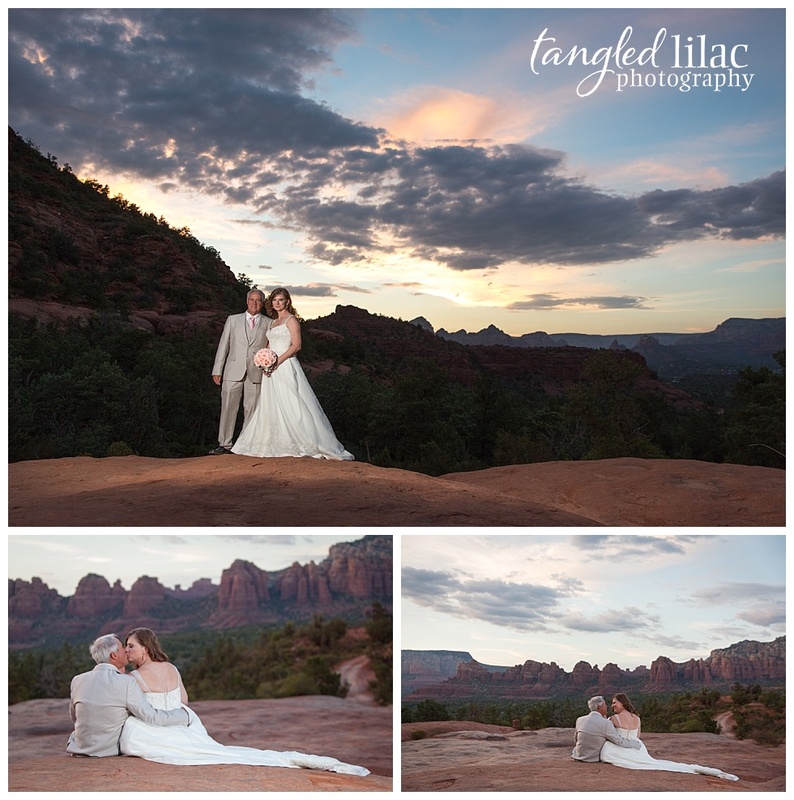 It is very quiet with beautiful views that surround you with the energy and serenity the region is known for. 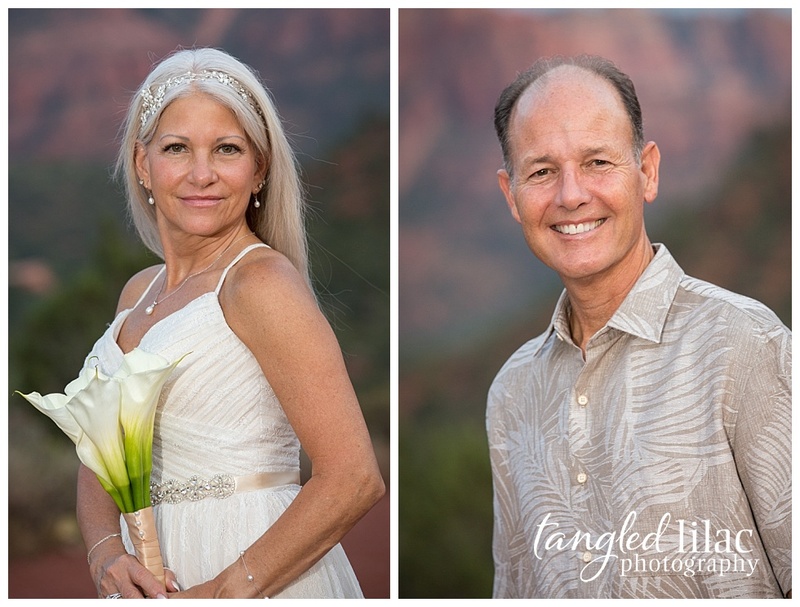 This privately-owned piece of property sits on 24 acres providing a playground for you and your guests, should you choose to share your day with others. 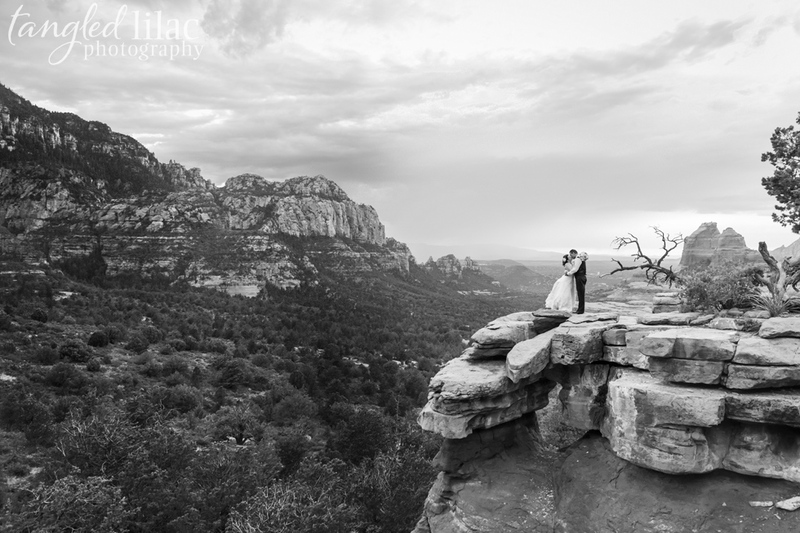 Sun Cliff Sedona offers elopement and honeymoon packages and is a perfect choice if you are seeking a luxury Sedona elopement experience. 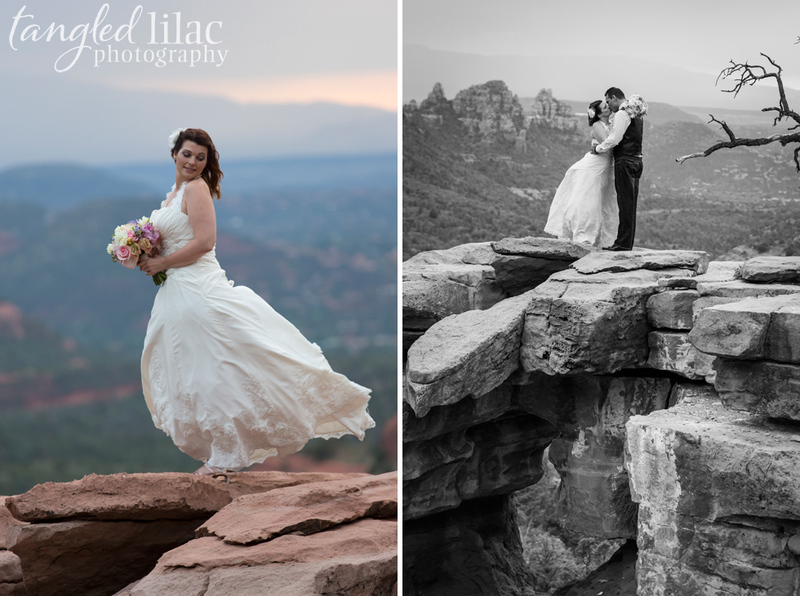 Sitting 500 feet above the picturesque city of Sedona, Sky Ranch Lodge offers 360-degree views of the famous Red Rocks. 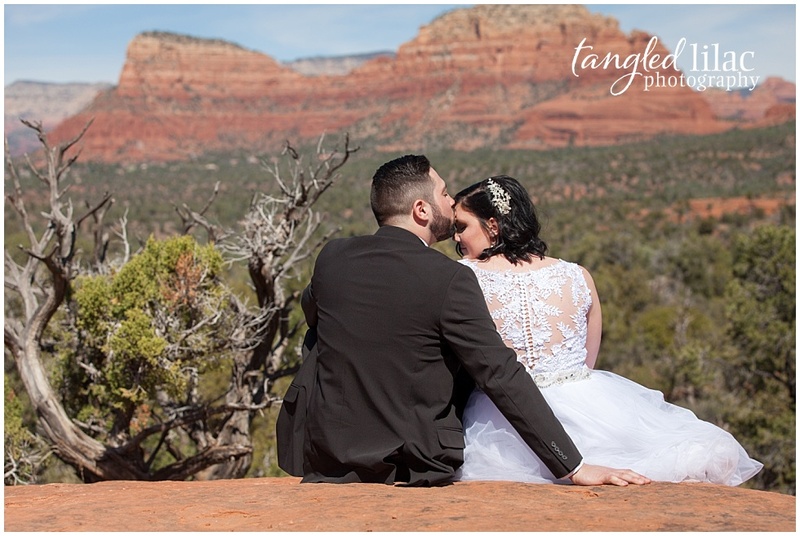 It boasts beautifully landscaped grounds littered with gardens, ponds and a patio with 180-degree views perfect for your ceremony. 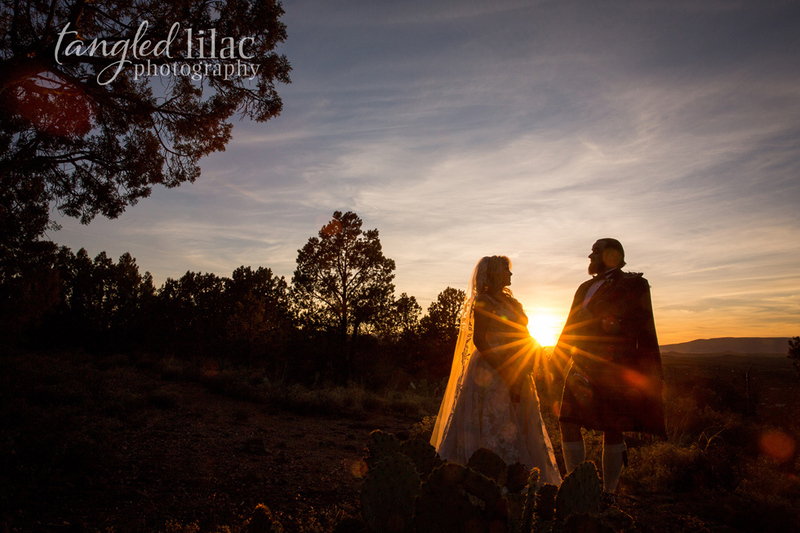 If a spectacular sunset elopement ceremony is on your bucket list, Sky Ranch Lodge will deliver. 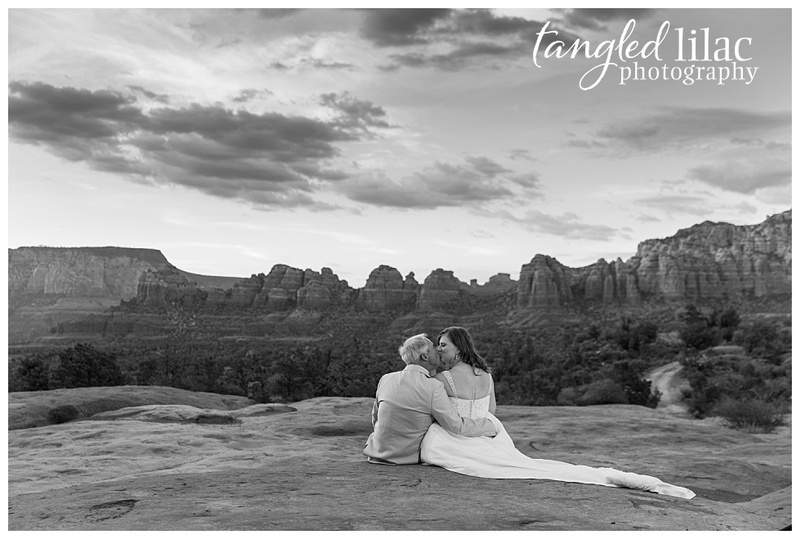 Crescent Moon Ranch is a historic ranch house on the banks of Oak Creek with Cathedral Rock towering above it in the background. 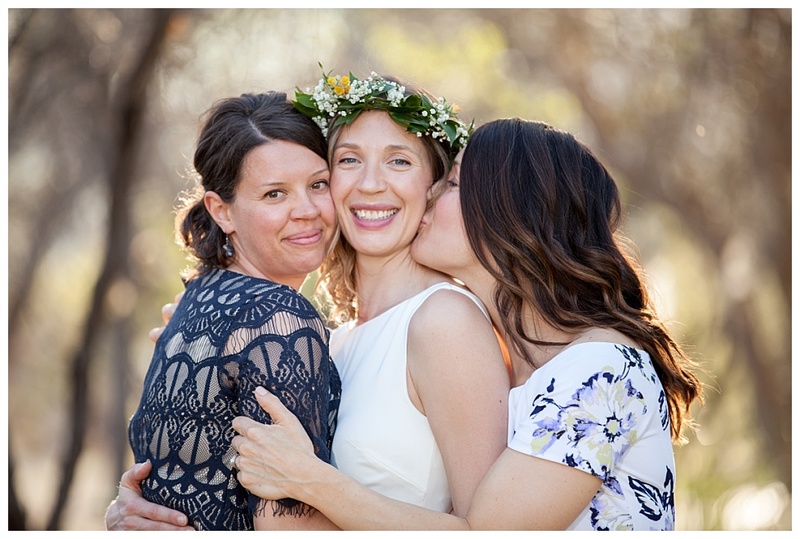 After your ceremony, have a celebration and sleepover in the cabin located on the property that can accommodate up to ten overnight guests. 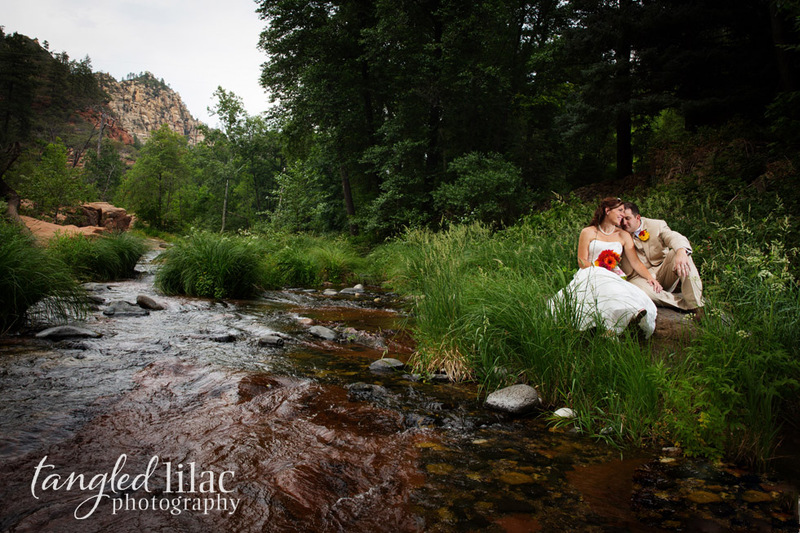 You’ll also enjoy plenty hiking, swimming in the creek or simply relax and enjoy the breathtaking views. 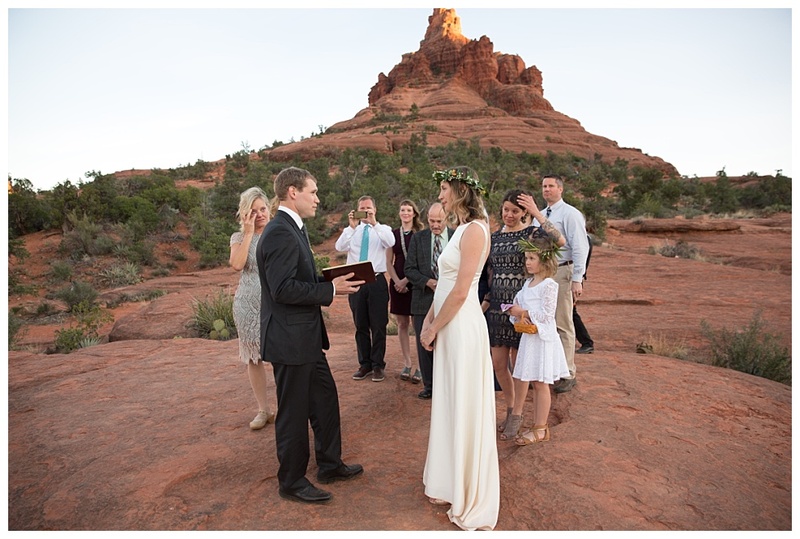 An additional option is to enter through the public entrance and head to the beaches of Red Rock Crossing for a celebration of love surrounded by flora, fauna, the waters of Oak Creek and spectacular rock formations. 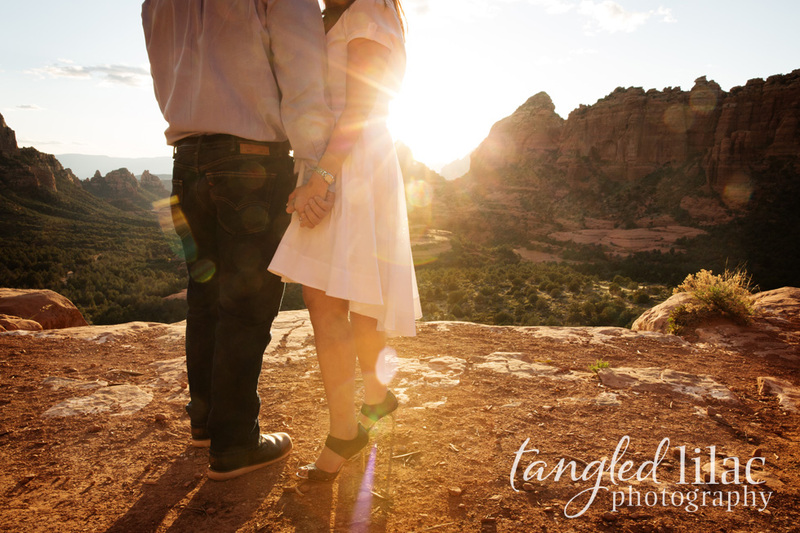 Surrounded by rock formations with names like Chimney Rock, Thunder Mountain, and Sailing Ship Rock, you can only imagine the breathtaking beauty of the Red Rocks as they sit against the bluest of blue skies. A lesser known spot in the area means less crowding and more exclusivity. But the mile-long hike means you have to work for it. 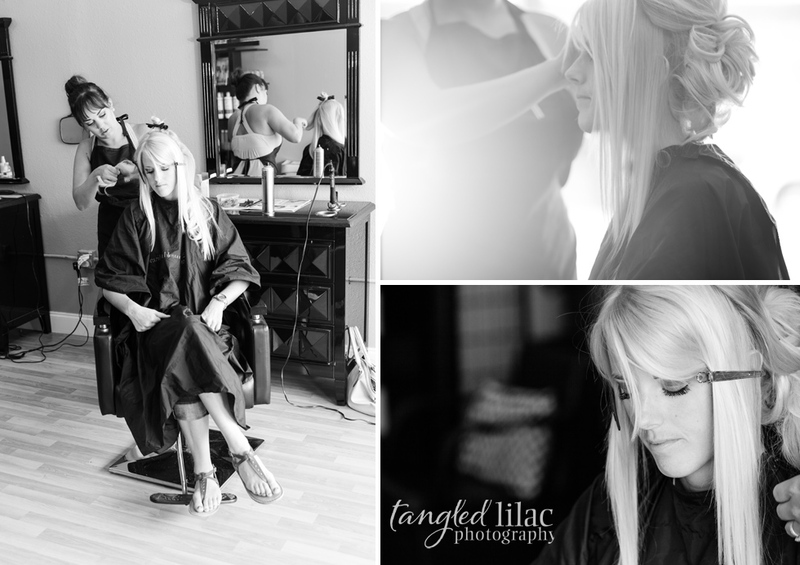 I promise you, the effort pays off big time and creates a very special story that will be evident in the photos of your day. Oak Creek’s West Fork trail is one of the best hiking experiences in the area. 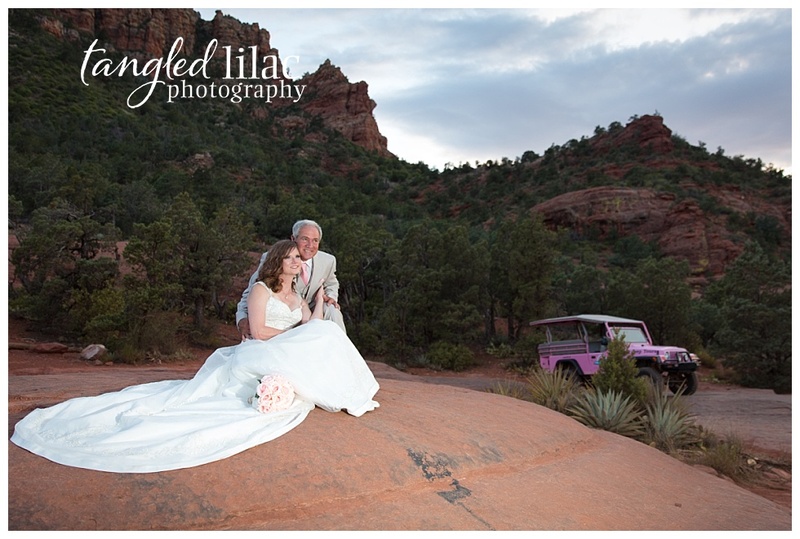 It also makes for a pretty picturesque spot for an elopement ceremony. 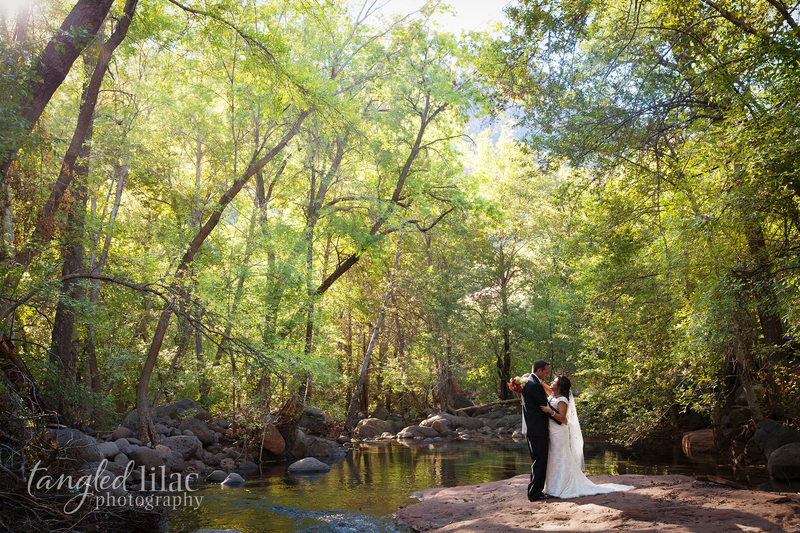 The trail is surrounded by towering canyon walls and it is semi-shaded by trees with parts of the trail situated alongside Oak Creek. These ten spots are all amazing, each with its unique features. 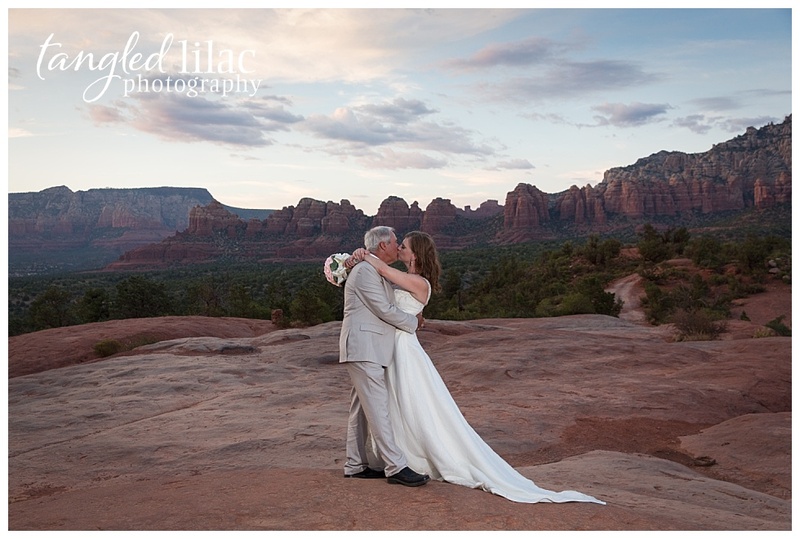 You can see why Sedona is becoming a preferred elopement destination. 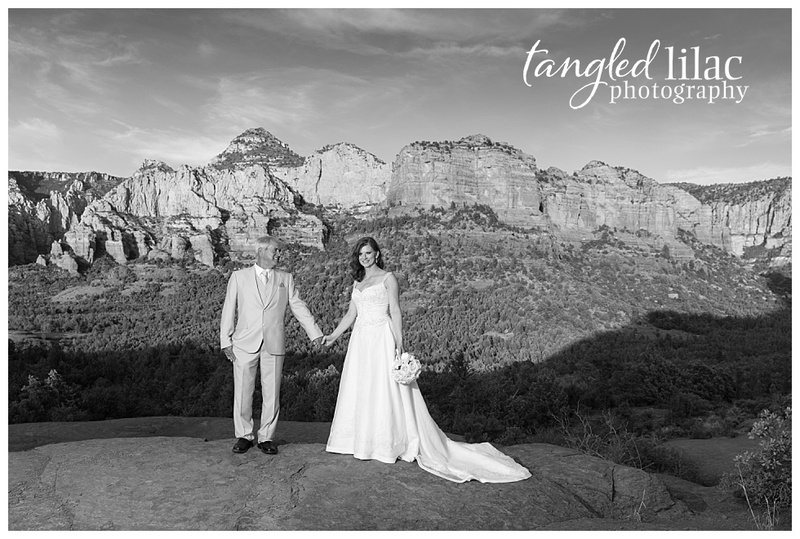 If wedding photos are important to you, and they should be (just saying), start by talking to a photographer that is familiar with the region. 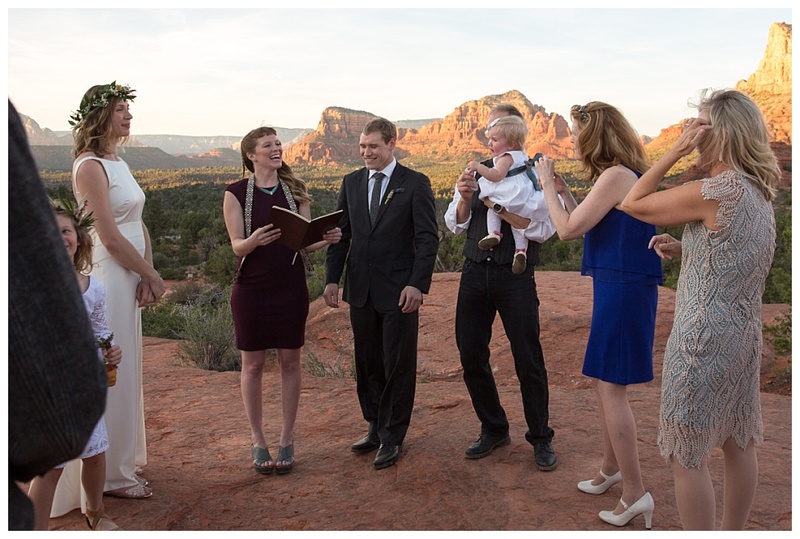 They will know the nuances of each spot and can help you pick the perfect location for your day.